Saeed Abedini is internationally recognized as a former prisoner of Iran’s Islamist Shia regime, and as a courageous spokesman for faith and freedom. He is also a gifted evangelist and an encourager of Christian believers in Iran and beyond. Years before, at age 14, Abedini was recruited by Hezbollah, the infamous pro-Iranian paramilitary militia. His close observation of the religious authorities’ methods of training, the hatred behind “Death to America” and “Death to Israel” slogans, and the corruption of the mullahs caused him to reject the Hezbollah program and also to question his faith in Islam. Saeed Abedini converted to Christianity at age 20 – a capital offense under Islamist Sharia law – and immediately recognized a strong calling to share his new-found faith. He did so with great success, despite constant threats and intimidation. He founded dozens of house churches. But his efforts to construct a state-sponsored orphanage in the city of Rasht led to his arrest and imprisonment. After a three-and-a-half year incarceration, enduring mental and physical abuse, torture, beatings and continuous death threats, Abedini was released from prison in January 16, 2016. This was the result of the notorious nuclear treaty with Iran, and an exchange of prisoners between the Iranian regime and US President Obama’s administration. International broadcasts about Saeed’s imprisonment inspired a global groundswell of support, activism and prayer for him. Thanks to his viral media exposure, he has significant name recognition in the US, Canada and in numerous other democratic countries. Because of his first-hand experience with the Iran regime’s brutality, Hezbollah’s deadly mission, and the growing despair of young Iranians, Saeed Abedini speaks boldly for faith and freedom, the truth about Israel, and the defense of persecuted Christians. 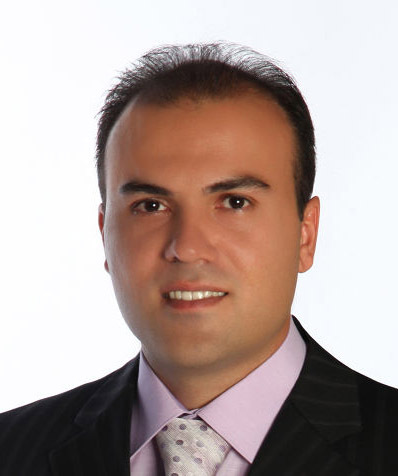 A US citizen, Abedini is a well-informed consultant and a tireless activist. He is a popular speaker with both Christian and secular audiences. Do you have a friend who is struggling with depression? Watch and Give this video of mine of 2012 to them as gift. Pastor Saeed Abedini has discussed his personal journey from his dramatic conversion to Christianity, to his release from a notorious Iranian prison. His imprisonment became a global example of Christian persecution, but Saeed shares the deeper story of covert church planting, hidden home groups and sharing the Gospel in a hostile environment. John Hagee Ministries Interview with Matt and Kendal Hagee. Pastor Saeed Abedini is going to testify for Congress! If you would like to help Pastor Saeed and his ministry please use the form below to donate.